At here you can able to see that all social media profile those are basically people use to communicate with the globe. 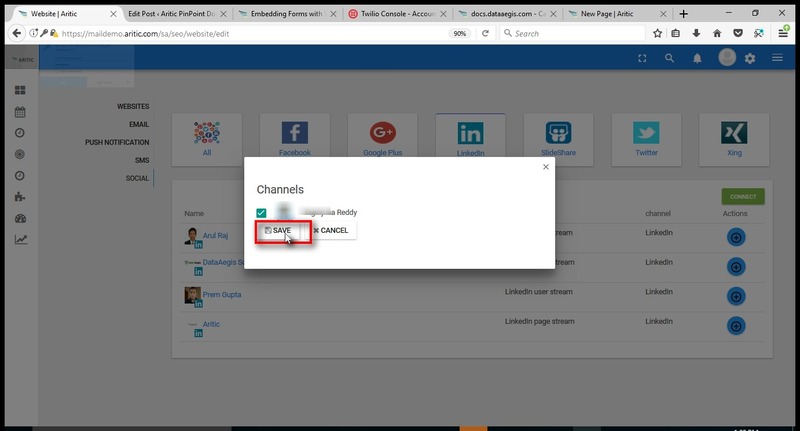 As Example:- Linkedin social media page. a). Once you click on “CONNECT WITH LinkedIn ” pop up. a) Once you will click on “Allow” it will give you option to save your profile on Aritic PinPoint dashboards. 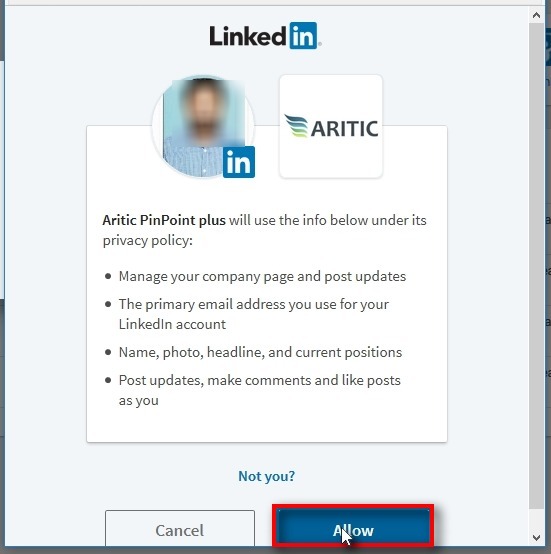 Once you will click on “Allow” it will give you option to save your profile on Aritic PinPoint dashboard. 10. Click on “SAVE” button. 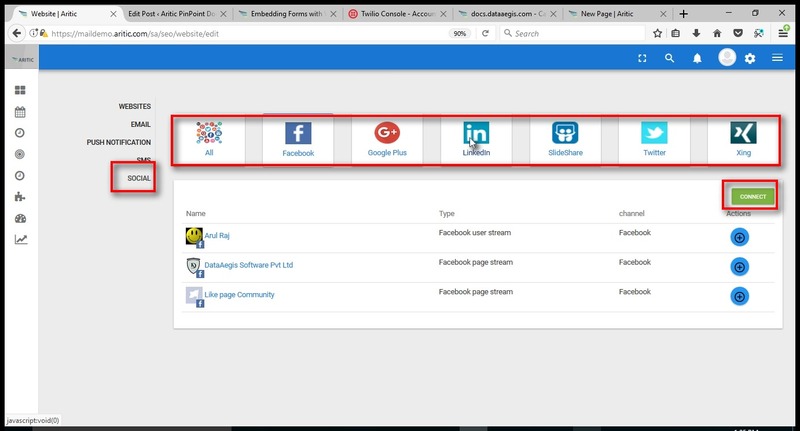 a) When will you click on “Save” it will allow to access your account in Aritic PinPoint dashboard and you can view and post your information from here. 11. 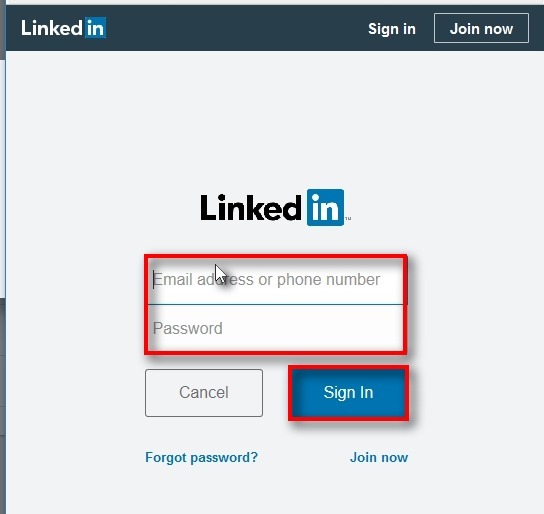 Once you will complete the login process your LinkedIn profile will appear on Aritic PinPoint dashboard.